How Literal Is Literal Enough? I greatly appreciated Rev. Nick Smith’s guest post last week on why Christians need to learn to “sing the whole psalm.” As he points out, we need to fill our hearts and mouths with the complete message of the Psalter, even when it feels strange or unseemly to us, because this is how we learn to speak and act like Jesus. We ought not to be afraid of texts that call for God’s judgment, especially with the benefit of New Testament passages such as Revelation that assure us this judgment will one day take place. When the psalms we sing in worship have been paraphrased, or their sharper edges have been sanded off, they rob the church of the “bold prayer” that God would utterly destroy the wicked. Rev. Smith’s response reminded me of the topic of “psalm-hymns,” or psalm paraphrases, that we’ve talked about before. Every Christian ought to care about Scriptural faithfulness in the words they sing as well as the words they read. Consistories and congregations, especially, should carefully consider the question of Biblical accuracy before purchasing a new psalter. But if you’re not a Hebrew scholar (and most of us aren’t), is there any way to tell how accurate the psalm settings you’re singing are? Although unfamiliarity with Biblical languages may be a hindrance, I don’t think it should stop us from at least beginning to think in terms of Scriptural accuracy. So here’s a rule of thumb that has proved for me to be a great starting point: Get a pencil and mark all the verse numbers in the song. If this sounds strange, allow me to give an example. A few months ago I was thinking about settings of Psalm 46 and decided to sit down with this version from the blue Psalter Hymnal to find out how closely it matched the prose psalm from the ESV. My goal, as mentioned above, was to identify all the verses from the prose psalm in this setting. You can see that it passed the test—Psalm 46 has eleven verses and I was able to locate all of them here (even though v. 11 is unmarked for some reason). While this is a helpful way to establish that this psalm setting does in fact follow the pattern and flow of the original text, I went a step further. As you can see from this scan (click to enlarge it), I’ve developed a kind of shorthand to efficiently note weaknesses in the translation. Parentheses ( ) designate words that roughly summarize the original text. You can see at the bottom of the second stanza I highlighted the word “fathers’,” which is close to the original term “Jacob’s,” but not quite the same thing. Whatever their reason may have been, the editors of this psalm setting decided to use a more generalized ancestral reference than one that named the nation of Israel directly. As far as Biblical accuracy, that’s a point against them. Brackets [ ] designate phrases and concepts that definitely do not appear at that point in the prose psalm. For example, the third stanza contains references to “His wrath” and “His grace” which are not found anywhere in Psalm 46. In this particular passage we are not told whether God’s intervention to make wars cease to the ends of the earth is wrathful or gracious. An argument could be made for either. But in this case, it seems presumptive to incorporate these interpretive components into a psalm setting. Finally, parallel vertical lines || appear where the versification has left out a concept or phrase from the original psalm. I combine most of these with a brief note in the margin as to what has been left out. In the middle of the second stanza, you can see that the portion of vv. 5-6 that mentions “when morning dawns” and “The nations rage, the kingdoms totter” is missing. These are vivid word pictures that bring Psalm 46 to light in the believer’s mind, like Rev. Smith suggested with Psalm 110. As you can see, in the last two stanzas of this psalm setting, which are clearly intended to represent Psalm 149:5-9, I was only able to locate v. 5, part of v. 6, and an elaborated version of v. 9 that includes pieces of vv. 6-8 within it. These lyrics fail to mention anything resembling the “judgment,” “vengeance,” “punishments,” “chains,” and “fetters” of the psalm. That’s a tremendous loss for us as psalm-singers, and because this is the only complete setting of Psalm 149 in the Psalter Hymnal, it’s even more lamentable. The point here is not to emphasize God’s wrath and judgment simply to gloat in gory language. Rather, we must understand that the Christian life is one of constant warfare against “the devil, the world, and our own sinful flesh” (Heidelberg Catechism Lord’s Day 52, Q&A 127). As one hymnwriter put it, we must be able to see “how the powers of darkness/Compass thee around” (Psalter Hymnal #464), and how those powers of darkness are overcome in the victory of Christ. It takes lifelong practice to recognize this battle for what it is. All the more reason for the songs we sing to portray this reality fully. Whether or not you like the idea of New Year’s resolutions, the start of 2016 is a great opportunity to set one goal: Know the psalms better. If you’re looking to grow in your knowledge of Scripture, your understanding of redemptive history, and your closeness to Christ, the psalms are an excellent place to start. If you’re not sure how to begin, here are five practical options for delving into the Book of Psalms throughout the upcoming year. 1. Read through the psalms in your personal daily devotions. This can be as simple as reading a psalm every day, perhaps the first thing in the morning or the last thing before you go to bed. If you consistently read a psalm a day, you’ll get through the book at least twice before the end of the year. Look for patterns as you read: What are the themes of each psalm? How would you classify them (thanksgiving, lament, wisdom, royal, etc.)? How do you see Jesus’ work foreshadowed in them? 2. Find a good commentary. As simple, reliable options, consider reading the study notes for the psalms in your study Bible. If you’re looking for a more detailed exposition, good commentaries on the psalms include Spurgeon’s Treasury of David, Andrew Bonar’s Christ and His Church in the Book of Psalms, and, of course, Calvin. On the other hand, it’s not necessary to buy a commentary on the whole psalter to appreciate the psalms more. There are many smaller books and booklets devoted to one section or category from the Book of Psalms. A favorite of mine is Rhett Dodson’s This Brief Journey: Loving and Living the Psalms of Ascents, which focuses on Psalms 120-127. 3. Pick some psalms to memorize. Did you memorize Psalm 23 as a child? It doesn’t have to stop there. Choose a handful of psalms–maybe one from each book of the Psalter, or one for each month of the year–and intentionally, methodically memorize them, either by yourself or with your family. Let these divinely-inspired words penetrate your skin and circulate through your spiritual bloodstream. 4. Buy your own psalter. 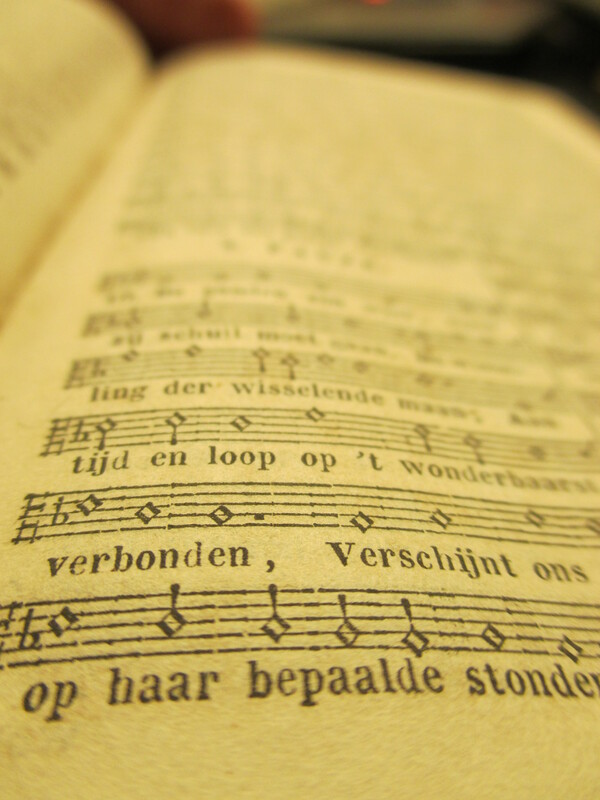 You don’t have to be musical to benefit from having a metrical psalter in your home. If you attend a church that uses the Psalter Hymnal, ask if they have extra copies or buy your own from Reformed Fellowship. Other good, modern psalters include the New Genevan Psalter, the Trinity Psalter, the Book of Psalms for Singing, and the Book of Psalms for Worship. Each of these books has its own strengths and weaknesses, but all of them present the entire Book of Psalms in an easy-to-memorize metrical format. Even just reading them aloud will make memorization easier. The task will be less daunting, of course, if you have a musical instrument and/or some degree of musical talent in your household. But even if not, you can always grab a pitch pipe and plunge forward into uncharted musical territories with the rest of your family. My college roommates and I do this almost every Sunday, and we love it! 5. Reflect on what you sing in church. This last point is the hardest of all. My mind wanders in a thousand different directions on Sunday mornings, and keeping it focused on worship at all–let alone the significance of what I’m singing–is a challenging task. To start with, assuming your church sings at least a few psalms in worship, look for connections between the psalms you studied during the week and the words of the congregational songs. Are you singing a psalm you previously studied or memorized? Do different things about the words stand out to you when they’re sung in church? Does the overall theme of the psalm seem different when applied corporately (to the whole body) instead of individually (just to you)? If your church doesn’t sing psalms, take the opportunity to study further what the psalms have to say about corporate worship, and what the Bible has to say about the psalms in corporate worship. Maybe devote some time on the Lord’s Day to singing psalms at home with your family. And pray that more people in your congregation would come to appreciate the great blessing of the psalter! These ideas aren’t a magic formula for embedding the psalms in your heart, nor are they meant to detract from the other spiritual disciplines we should be cultivating. The Christian walk is about much more than just knowing the Book of Psalms, but it should certainly include it. And as a new year begins, now is a great time to start! Why has psalm-singing fallen by the wayside in so much of the Western church? Many people blame the rise of hymn-singing for the decline of psalm-singing. But in 1906, two men from the Christian Reformed Church reversed the argument. 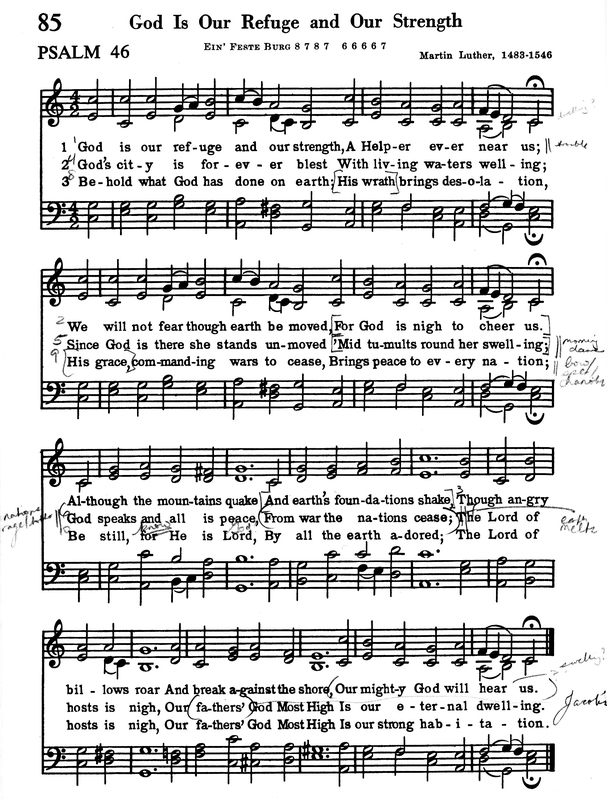 Instead they blamed a deficiency in psalm-singing for the rise of hymn-singing. Today I’d like to take a short excursion from this summer’s Behind the Psalter Hymnal series—which is almost over, don’t worry—to present another fascinating document from the vaults of church history. It’s a report submitted to the synod of the Christian Reformed Church in 1906 on “the new American rhyming of the Psalter.” That “new American rhyming” would become the United Presbyterian Psalter published in 1912, whose psalm settings have become beloved favorites in many Reformed churches. The 1912 Psalter was the source for most of the psalm settings in the blue Psalter Hymnal and several other psalters of the 20th century. As the finishing touches were being applied to the text of this new psalter in 1906, Henry Beets and Henry Vander Werp submitted this report to the CRC’s synod to provide some background and personal commentary on the project. The original report was in Dutch; since then it’s also been converted into English by an unknown translator, and the version I’ve posted on URC Psalmody is a slightly edited version of this translation. In their report, the two Henrys compare the psalters that were then being used in the English-speaking and Dutch-speaking churches of the CRC. The former often used the 1887 United Presbyterian revision of the Psalter (pictured at the top of this page). The latter used the Genevan Psalter according to its 1773 translation into Dutch (pictured at right). In colorfully blunt language, Beets and Vander Werp expose serious deficiencies in the English psalter. They call it “kreupelrijm, en in meerdere gevallen kreupel aanbeide voeten”—“a crippled rhyming, and in most instances crippled in both feet.” They compare the Dutch psalter to the sun, and the English to “the moon, and not even a full moon!” They even write that the English translation “must take a back seat for the Dutch sister”—who knows where that expression came from. Readers from the Reformed Presbyterian Church (RPCNA), you might think the authors would at least have a higher regard for your psalm settings. Nope—in their opinion, the psalter “of the Covenanter Church here and in Scotland is much poorer and less poetic” even than the “crippled rhyming” of the United Presbyterians. Ouch! The greatest defectiveness…with respect to the rhyming of the Psalms in our country is the spiritual poverty. In order to cling scrupulously to the Hebrew text, they have, so to speak, placed handcuffs upon the spirit thereof in many places. The glorious worshipful spirit of the Psalms cannot spread out its wings far enough in such narrow boundaries. I’m sure Beets and Vander Werp would emphasize that any translation of the Psalms must faithfully represent the original Scripture. But they make an interesting point: by attempting to be slavishly literal, the translators of past English psalters often made the psalms actually more difficult to understand. How can the average psalm-singer even begin to worship while struggling to decipher perplexing lines like “For thee to keep in all thy ways/His angels charge He shall”? Such language may have been (slightly?) more colloquial in 17th-century Scotland, but in our contemporary American context, must we really settle for this? Here my ears really perked up. If you ask why the Psalter has fallen out of use in most American churches, people will blame a variety of sources: Isaac Watts’ psalm paraphrases, Ira Sankey’s gospel hymns, or the genre of “CCM.” But what if these pastors are on to something? Maybe part of the reason we stopped singing the psalms was because our translations didn’t do them justice. There’s good news, of course. The 1912 Psalter, which Beets and Vander Werp called “unquestionably a great improvement,” has ingrained its psalm settings into the hearts and minds of multiple generations of believers, including many of us in the URCNA. Now, in the 21st century, we have at our disposal a wealth of resources for psalm-singing that is not only literal but also beautiful and memorable. The Reformed Presbyterians’ recent Book of Psalms for Worship includes many excellent psalm settings, both new and old, recast in simple, straightforward English. For those who still prefer the Genevan tunes, like Beets and Vander Werp so obviously did, there are the Canadian Reformed Churches’ new Book of Praise and New Genevan Psalter. And, of course, we have the promise of a further contribution to modern metrical psalmody in the URCNA and OPC’s forthcoming Psalter Hymnal. When it comes to hymns and psalm settings, I’ve always tended to be a stickler for the “original lyrics.” I love some of the quirky wording of old psalters, and I’ll be sad if I ever have to see them go: “All earth to Him her homage brings,” “Who only doeth wondrous works in glory that excel.” But if we insist on clinging to archaic, deficient psalm settings merely for the sake of history or tradition, we may need to be reminded of Paul’s words to the Corinthians: “[I]f with your tongue you utter speech that is not intelligible, how will anyone know what is said?…For God is not a God of confusion but of peace” (I Cor. 14:9,33).